Since 1990 UMG inc has been focused on securing the best electric and natural gas rates for our commercial / iindustrial rate clients. We have strong working relationships with the largest electric and natural gas suppliers and because of this UMG is able to provide our customers the best competitive pricing available. 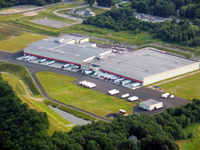 We understand that the utility demands of a commercial property are vastly different than those of a manufacturing facility. We carefully analyze our client's utility demands so that we can confidently assess and provide a plan that will fit their individual needs. UMG specializes in representing your best interests, in getting you the best prices at the best terms from the best suppliers and timing market purchases so you lock in at the best times. All of our focus is on improving your bottom line. We do all of this with a handshake. We guarantee that we will work above and beyond other energy commodity aggregators / brokers / suppliers to satisfy your needs and financial goals. Feel confident that you are in good hands with our highly experienced staff. Our employees are knowledgeable and committed to bringing you the fastest and best customer service experience in the industry. We are fast, friendly and reliable. "Thank you! I look forward to a long relationship with UMG."